Streamlining workflow from photo studio to creative teams. TORONTO, ON, April 6, 2017 – Northplains has announced an integration partnership with Shotflow One from Capture Integration, to accelerate campaign creative processes. The result of this application-level integration, says Northplains, is a seamless workflow that delivers what the company calls “smart” images from the studio into the hands of creatives. Northplains describes these as images already containing rich descriptive information with the asset file itself, in the form of metadata. This means that production teams can utilize this visual content as it is uploaded into the system, with no need for manual tagging of metadata such as product specifications. 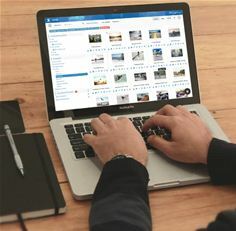 Rather than losing time or missing deadlines due to manually managing visual files, creatives can focus on creative work while “smart” images are routed through a Xinet workflow automatically to feed the many channels with growing demand for fresh content. Shotflow One collates all the data associated with studio photography, enabling optimized planning, monitoring and measuring of the photo creation process. Through a unique integration to Phase One’s Capture One software, ShotFlow One instantly tags each image as it is captured, with all the necessary metadata, such as the product, color, style, category, date, campaign, model, usage rights limits, and so on. Northplains chose to develop an integration with Shotflow One, because it is a natural complement to Xinet: its’ leading tool in digital asset workflow used by creatives for over two decades to begin the asset creation process, often taking raw images as the starting point.